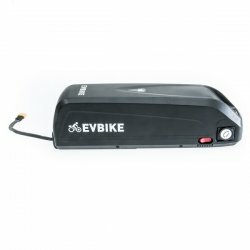 EVBIKE battery with high capacity 13Ah (624Wh). 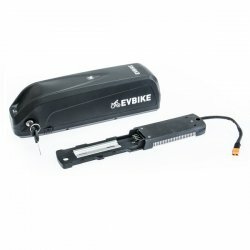 Battery can be charged with 2 A or fast 5 A chargers. 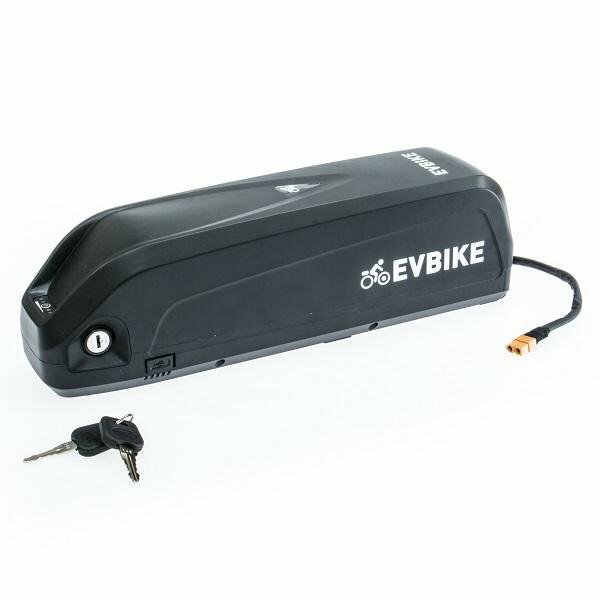 Battery charger is not included in the package. Battery is in plastic box with conector for charging and conector for discharginng (connect to motor). For using the battery be carefule on wather on tehe battery.